Full-service design package | This package takes your design from site analysis to a full planting plan, including a complete plant list. I need ideas! design package | This is a quick, on-site design that will give you some solid ideas to begin building the yard of your dreams. This package is great for those who just want a good brainstorming session on the possibilities of their yard. 1. initial consultation (complimentary) | We will review your needs and site conditions, and I’ll present some of my experience. Whether you decide to use my services or not, the initial consultation is complimentary. If you decide to move forward with a design at this initial consultation, you will receive a $50 discount on the overall project. 2. site analysis | I will return to your site to conduct an in-depth analysis, including measuring the site, assessing existing landscape elements, and reviewing drainage conditions. 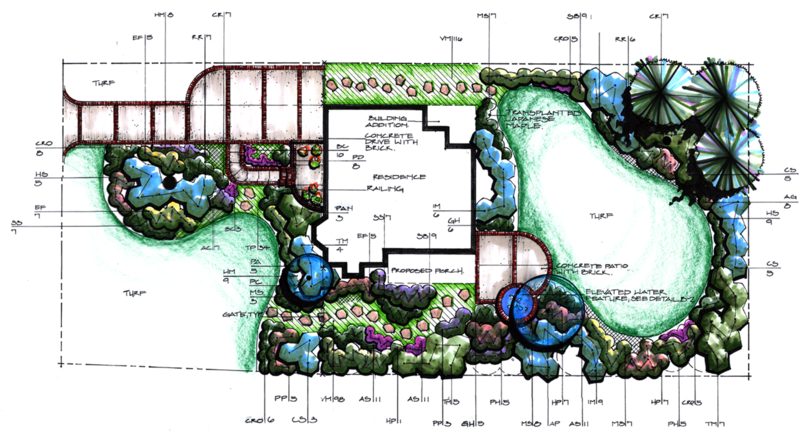 3. conceptual plan | Synthesizing your needs with site requirements, I’ll craft a conceptual design that lays out planting beds, a planting theme, and landscape features such as patios, decks, driveways, boulders, pathways. We will review the plan at your site. 4. planting plan | Adjusting for any revisions at the conceptual design stage, I will finalize the design and complete a detailed plant list. We will review the plan at your site. Payment is due at this meeting. You will receive two sets of plans, one of which will be rendered. Additional prints are available for an additional fee. 5. construction management | To ensure the critical translation from final design to actual construction happens successfully, I will manage the construction of your landscape as well. Ready for an initial consultation or just have some questions about this package? Please contact me at hchristine1980@hotmail.com or 720.363.6531. Or contact me via this handy contact form. 1. Needs and analysis discussion | We spend 30 minutes walking your property discussing your needs and what you’d like from the yard. 2. Design time | Based on the needs we discuss, I will bring out the pens and paper, and sketch a design for you right in your home! The design, which takes one hour to complete, will be conceptual in nature, and cover the shapes of beds, locations of plant types and the placement of key landscape features. It won’t be to scale, but I will include key measurements that will help you implement the plan. Depending on the size of the property, I may have time to include some specific plant types, but if we can’t get through that in an hour, most nurseries can help you figure out the exact plant types you’d want (and they’ll do it for free). 3. Design review | We will spend 30 minutes reviewing the plan, and talk about how you can take this design and implement it in your yard. Ready to go on this package, or just have some questions about this package? Please contact me at hchristine1980@hotmail.com or 720.363.6531. Or contact me via this handy contact form.